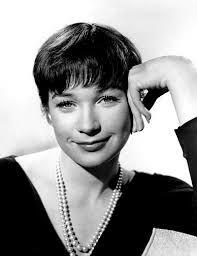 My first memory of Shirley MacLaine is watching a bit of her made for TV movie Out On A Limb. My mother had read some of her books, but I was too young to read them at first. Still, I knew of her in the late 80s. 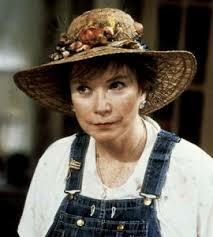 I saw her in Steel Magnolias and Postcards from the Edge before I finally picked up her books at a teenager. 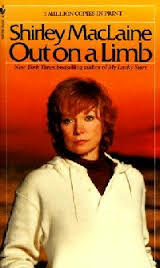 Out On a Limb was the first book I read by Shirley. I connected with something on those pages. Maybe it was her quest for self-discovery or her interest in mysticism. Whatever it was, I felt like I had found a kindred spirit. My first year of high school I felt so alone and out of place and her book provided a great deal of comfort. In her words I found a connection to something larger than myself. Later, I picked up Don’t Fall of the Mountain, You Can’t Get There From Here, Dancing in the Light, It’s All in the Playing and Going Within. Then I went back and watched some of her earlier movies, including, The Apartment, Sweet Charity, The Turning Point and Terms of Endearment. She is a talented actress who was good at playing sweet, naïve characters early on. 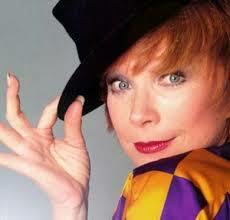 By the time she was taking roles in the late 80s and early 90s she’d changed over to crotchety old woman. At the time I thought nothing of it, but in retrospect, I think her characters very much reflect who she was and is as much as her writing does. I didn’t see her cameo in Defending Your Life until nearly 10 years after it came out. I wasn’t particularly fond of her roles in Used People, Guarding Tess and Mrs. Winterbourne. She seemed to hit a bit of a rut, but then she acted in the movie Carolina, Rumor Has It, In Her Shoes and Bernie. She’s continued writing over the years as well. Dance While You Can, My Lucky Stars and The Camino were all good. After 2003 it seemed she didn’t have new to contribute to her life story, but she kept writing anyway. Out on A Leash, Sage-ing While Aging, I’m Over That and What If were all rehashing of previous material. 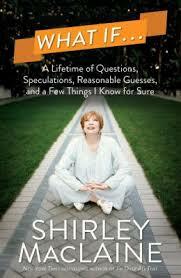 Recently, I picked up the book written by Shirley’s daughter and I was a bit shocked. 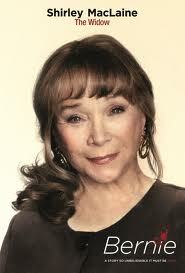 Lucky Me painted a rather different picture of Shirley MacLaine than she had painted of herself. 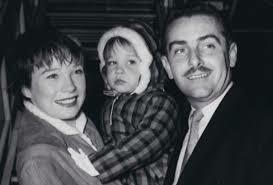 Shirley MacLaine had been scammed by her husband out of millions of her money because she believed his story about being an alien. Rather than admit that she had made a mistake and that she’d been vulnerable and gullible, Shirley denied it all. 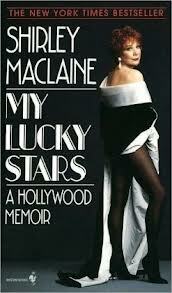 Strangely, MacLaine never mentioned her daughter much in her books. I thought it was because she was protecting her privacy, but it seems it was more because her daughter hadn’t been in her life all that much. Sachi came to live with Shirley for a while and Shirley encouraged her in becoming an actress. Unfortunately, MacLaine grew jealous and sought to sabotage the career she helped start. While I considered the possibility that Sachi put the spin on the truth, it seems more likely that it was her mother that did the spinning. 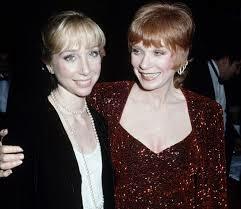 Shirley MacLaine had a public image to maintain while Sachi had little to lose by coming out with the truth and little to gain by telling truth, other than freeing herself from her struggles. Sachi’s book did not read like someone who simply wanted attention. 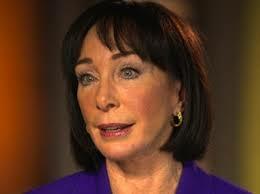 Sachi was generous, wise and self-reflective in her writing and her mother’s dismissal was very disappointing to me. 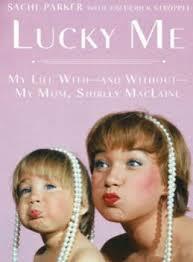 It seems for all of Shirley MacLaine’s exploration and knowledge, that her relationship with her daughter was perhaps the most overlooked issue. I’d like to hear Shirley’s version of the past, not just a vague dismissal. This entry was posted in Literature/Pop Culture, Movies/TV and tagged Acting, Actress, Alien, Anne Bancroft, Ballet, Bernie, Book, Cameron Diaz, Career, Carolina, Crotchety, Dancing In the Light, Don't Fall Off the Mountain, Going Within, Guarding Tess, Guru, I'm Over It, In Her Shoes, It's All In The Playing, Jack Black, Jealousy, Kevin Costner, Lucky Me, Mom, Mother, Movie, My Lucky Stars, Mystical, Naive, New Age, Out On A Leash, Out on a Limb, Peru, Piano, Postcards From The Edge, Rat Pack, Rumor Has It, Sabotage, Sachi Parker, Saging While Aging, Shirley MacLaine, Steal Magnolias, Steve Parker, Sweet Charity, Terms of Endearment, The Apartment, The Camino, The Turning Point, What if, You Can't To Here From There. Bookmark the permalink.